We trust doctors and other medical providers with our health and sometimes our lives. Unfortunately, sometimes doctors make mistakes that can put your health and possibly your life at risk. Below, learn more about some common medical errors that may give victims grounds for a medical malpractice lawsuit. 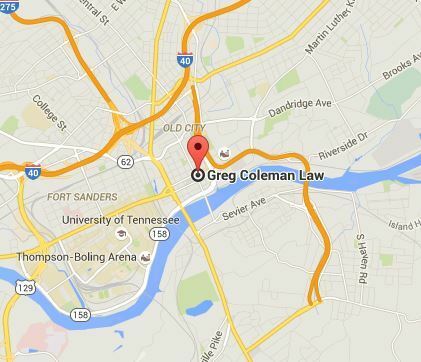 The dedicated Knoxville medical malpractice lawyers at Greg Coleman Law can assist you with every aspect of the legal process. Contact us to discuss your injuries and the mistakes that led to those injuries. Medication errors are one of the most common forms of medical malpractice. There are many types of medication mistakes, from giving patients the wrong medication or wrong dosage to administering the medication incorrectly. These mistakes are often made in the hospital, but they can occur in other settings, such as pharmacies or doctor's offices. When an illness or medical issue is misdiagnosed it can result in the wrong treatment or medicine being provided. In some situations, doctors perform surgery on a healthy body part, which puts the patient at risk for side effects or complications. In other situations, patients may receive unnecessary tests that can cause health problems down the road. For example, CT scans can increase a person’s lifetime risk of cancer. Dyes from CTs and MRIs could also cause kidney failure. In other situations, the problem is that the diagnosis is delayed. This means doctors get it right but long after they should have and patients do not receive the prompt medical care that they need for their underlying medical condition. This can cause a disease to spread or get worse. Delayed diagnosis may occur because doctors failed to make connections between the patient’s symptoms and possible medical problems. Communication problems – There could be miscommunication or a lack of communication between health care providers, such as physicians, nurses and specialists. Uncoordinated care – Health care providers may not share information or coordinate with each other, preventing an accurate diagnosis. Failure to order necessary tests – Physicians must make decisions based on the information they have. If they do not order necessary tests, they may not acquire this important information that allows them to properly diagnose the patient. Failure to properly analyze clinical information – Physicians may fail to properly evaluate clinical information such as tests, symptoms or laboratory results. Improper supervision of patients – Hospitalized patients may not be checked on frequently enough to notice a developing medical condition. Staffing problems – Some hospitals, clinics or doctor’s offices may not have sufficient staff, making workers overwhelmed and more likely to make mistakes. Surgeons can make mistakes too, such as amputating the wrong limb or operating on the wrong organ. Other surgical errors could include using unsanitary equipment or failing to monitor a patient under anesthesia. The Centers for Disease Control and Prevention(CDC) estimates that about one in 31 hospital patients develop at least one infection. One reason why infections occur is because so many hospital patients receive antibiotics even when they may not need them. In other situations, health care professionals may give patients the wrong type of antibiotics. Overusing these drugs helps to create bacteria that are resistant to antibiotics - overuse can kill good bacteria that protect against bad bacteria. Patients must be vigilant when they are being treated in a hospital or other medical facility. If they are given an antibiotic, they should ask their physician why. If an infection is suspected, patients can ask for a culture to determine the possible bacteria so that any medication is directly targeted to treatment of the specific bacteria that may be present. If you believe that your medical provider’s negligence resulted in your injuries or worsened your medical condition, it is important to learn about your rights from a trusted attorney. The experienced medical malpractice lawyers at Greg Coleman Law can explain your rights and discuss your options for pursuing compensation during a free consultation. Call us at (865) 247-0080 or fill out a Free Case Evaluation form.